Receive Up To $700 Off + Waived Application Fees If You Apply TODAY! *On Select Apartments. Call today for details. Leave the congestion of the city behind, for a home on your own little piece of the country at Ashford Lakes apartments in Hillsborough, NC. 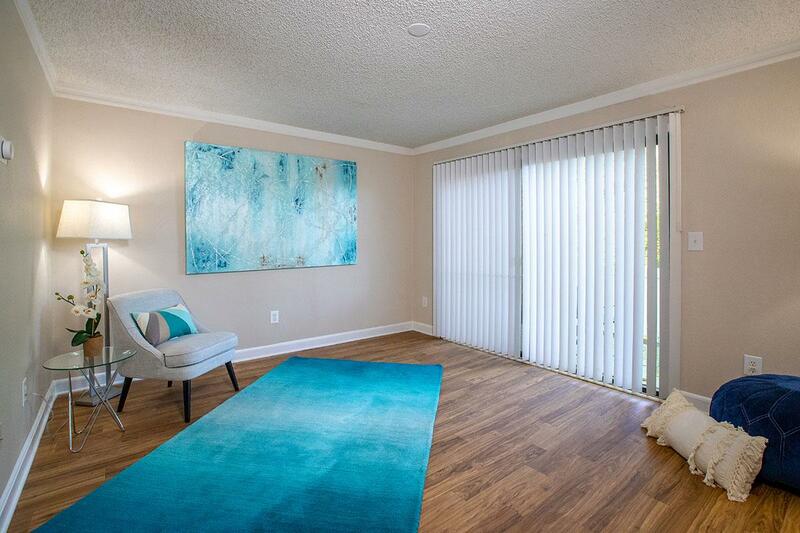 The incredible one, two, and three bedroom garden or townhouse style apartment homes are warm and inviting with ceiling fans, designer accents, and modern lighting. 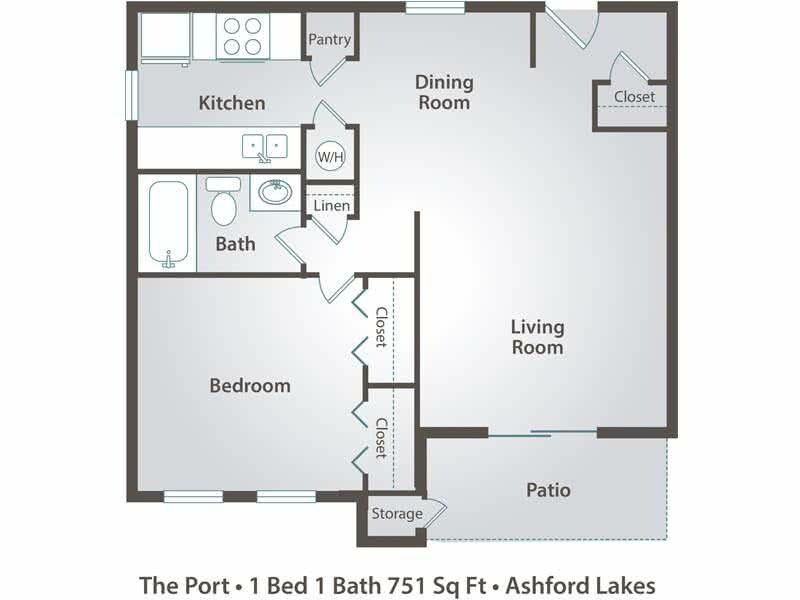 With fantastic, park-like scenery and incredible amenities, you can have it all at Ashford Lakes Apartments. Contact us about a tour, or stop by our leasing office today where our award-winning customer service staff will be excited to introduce you to your new home. The variety of floor plans provides residents with exactly what they’re looking for in a home. 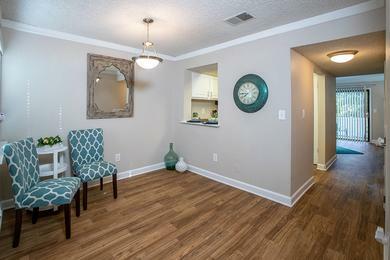 Ashford Lakes has many spacious floor plan options to choose from, with 1, 2, and 3 bedroom garden style apartments in Hillsborough, as well as 2 and 3 bedroom townhomes that truly feel like you’re in a home. All of Ashford Lakes’ apartments in Hillsborough, NC for rent offer private outdoor spaces and have huge closets with built-in shoe racks and organizers, making them unlike your typical apartment rental. 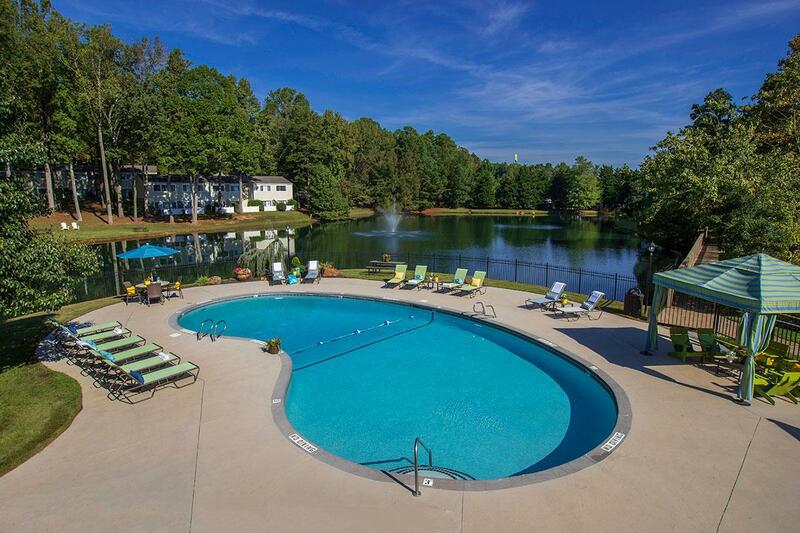 Amazing amenities and breathtaking lakeside views await you at Ashford Lakes apartments in Hillsborough. 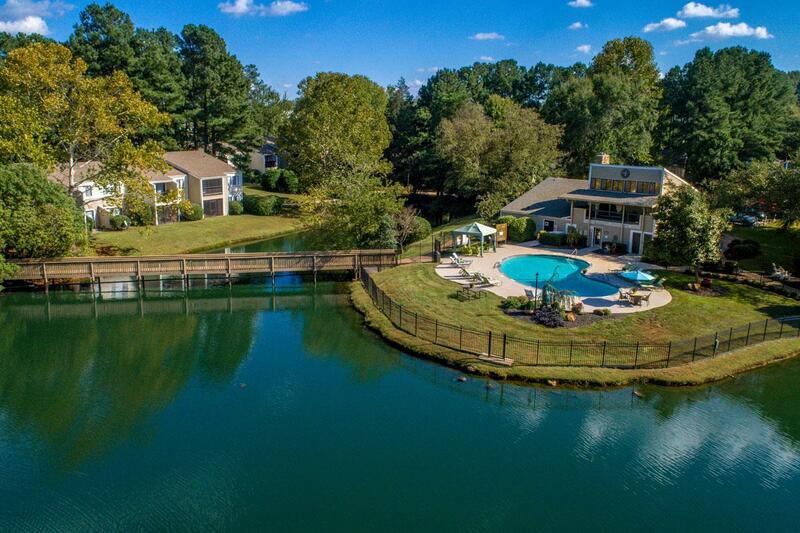 Soak in the beautiful North Carolina lake views from your very own private patio or balcony. Detached garages offer a convenient place to protect and store your car. 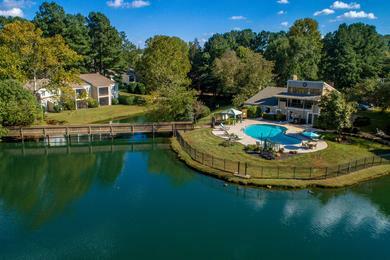 Our community has 27 acres of stunning, natural, wooded beauty and features a 5 acre stocked lake with places to relax and enjoy the beautiful view. Overlooking the lake is an 8-foot deep resort-style swimming pool and sundeck – the perfect spot to swim and relax on a warm summer day. The playground offers a place where you can have fun with your kids. Get a complete workout at your convenience at the 24-hour access, state-of-the-art fitness center. Enjoy the modern convenience of fax, copier, printer, and high speed Internet at the resident business center. 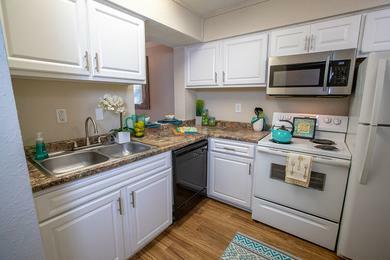 Additional features and amenities include remodeled kitchens and bathrooms, and walk-in closets with built-in organizers. Cooking is a joy in your fully equipped kitchen with abundant cabinet space and energy efficient modern appliances. Wash your laundry at home with available full size washer and dryer appliances or at the convenient 24-hour access community laundry center. Ashford Lakes' convenient Hillsborough location is between interstates 85 and 40 with easy access to Raleigh, Durham, and Chapel Hill. Shopping and dining in the historic downtown area is just minutes away. Hillsborough is ranked #3 of the coolest small towns in America by Budget Travel Magazine. 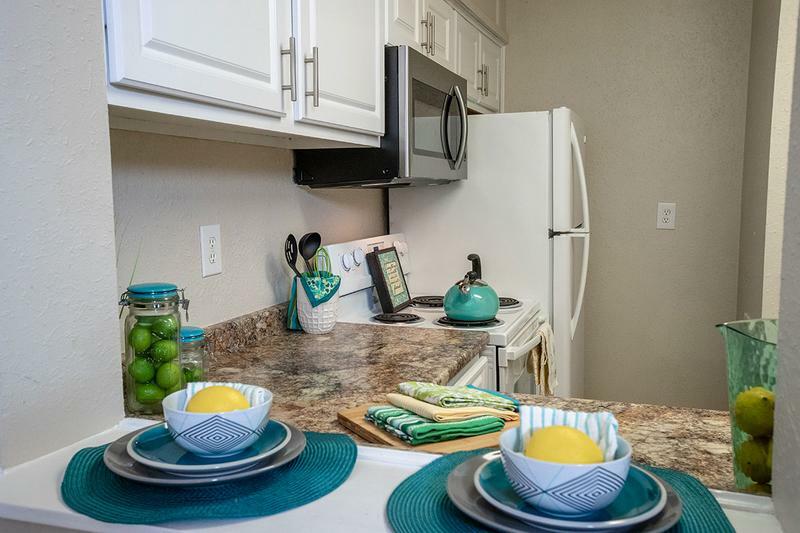 With top notch restaurants, exciting nightlife, and plenty of art and culture, it's a great place to live, and our Hillsborough, NC apartments put you right at the center of it all!